Goulash is an American classic, just like apple pie and baseball. What makes this goulash recipe the best is that it’s easy to make and doesn’t require a lot of ingredients! 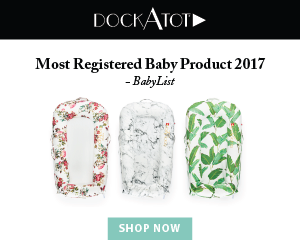 In an effort to fully disclose, this article contains affiliate links for products I use. This means if you purchase something, I would receive a commission. For more information, please see my disclosure page. There are many variations of goulash that incorporate red wine, onions, and even some spices like oregano, basil, and red pepper flakes. 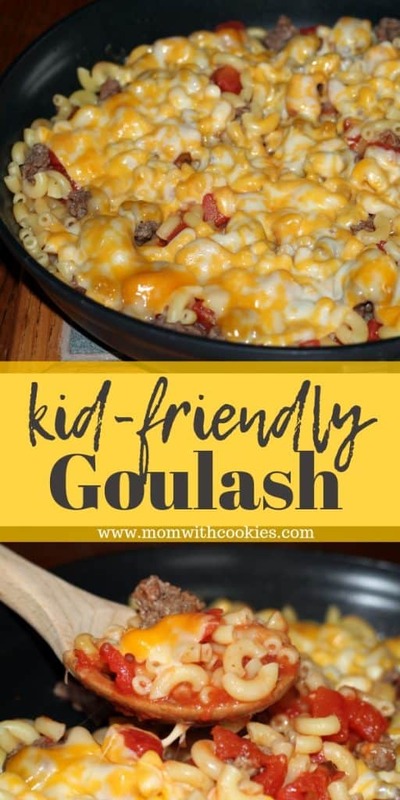 What’s different about my easy goulash recipe is that it’s kid friendly! As a mom, I make meals my kids will eat. Red pepper flakes, red wine, and even onions don’t always make the cut! ). Then, drain the grease. 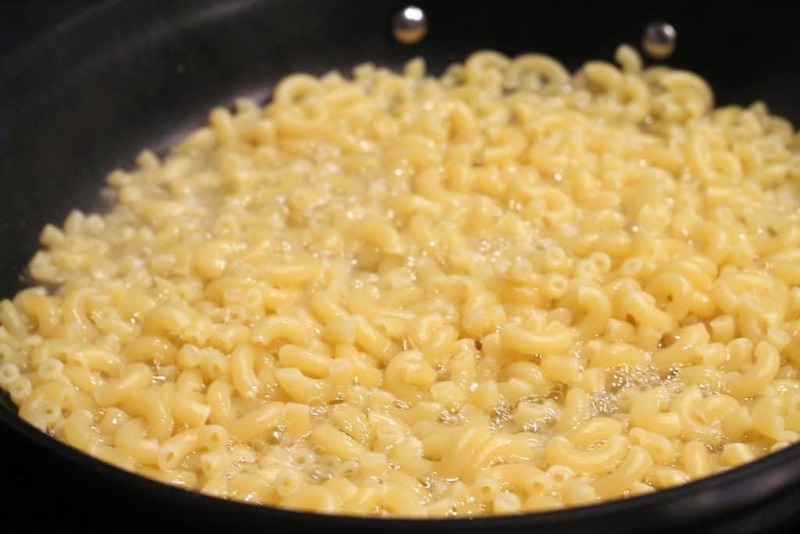 Wipe out the frying pan, and then you will boil the water, and add in the elbow macaroni. Let this cook for about 7-9 minutes or until the noodles feel tender. All or most of the water should be gone at this point. 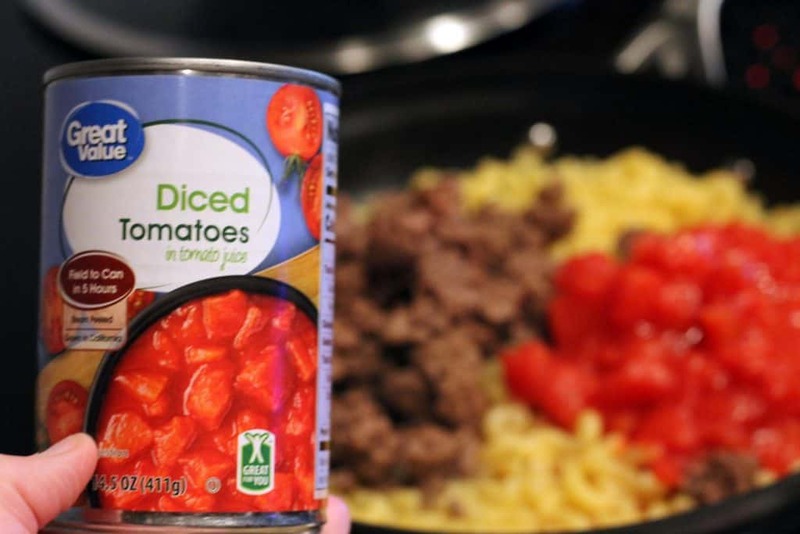 Then, add in the cooked hamburger and one can of diced tomatoes. Stir this around and then add on the slices of cheese or shredded cheese. The steam from the tomato juices will help melt the cheese, or you can place a lid on the top of the frying pan to help melt it faster. Thanks for stopping by. 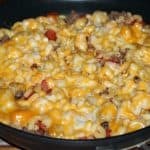 If you enjoyed this recipe, please remember to share it to your favorite food board on Pinterest. Thanks!! This goulash recipe is easy to make and only requires one pan! Not only that, it's kid-friendly so your whole family can enjoy! 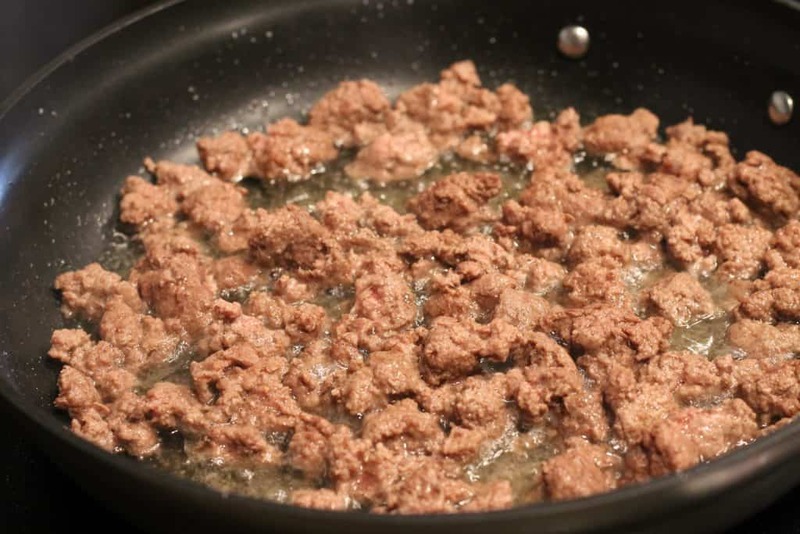 The first thing you will do is brown the hamburger meat in a large frying pan. Then, drain the grease in a colander. While the hamburger is draining, wipe down the frying pan and then add in the water. Bring to boil, and then add in the noodles. Cook on medium heat for 7-9 minutes. The water should then be all gone, so add in your cooked hamburger, and canned tomatoes. Give this a quick stir and then bring your temperature down to low. 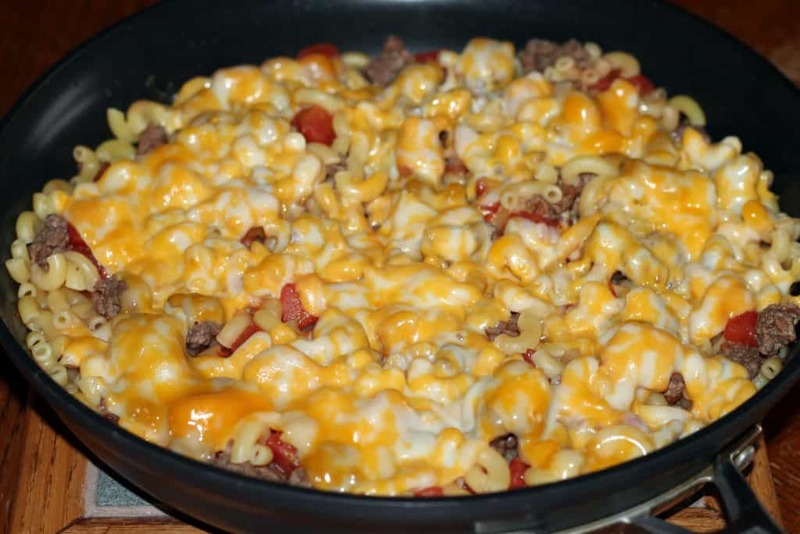 Then, places your slices of cheese on top of the goulash. When it starts to melt, remove it from heat. Then, serve!